One of the best things I ever did was sign up to be an advanced reader for Tor. Every once in a while, there's a box on my porch and I get to do a happy dance! The last box brought me the Wheel of Time Companion! Squeal! Just look at my bookshelf. 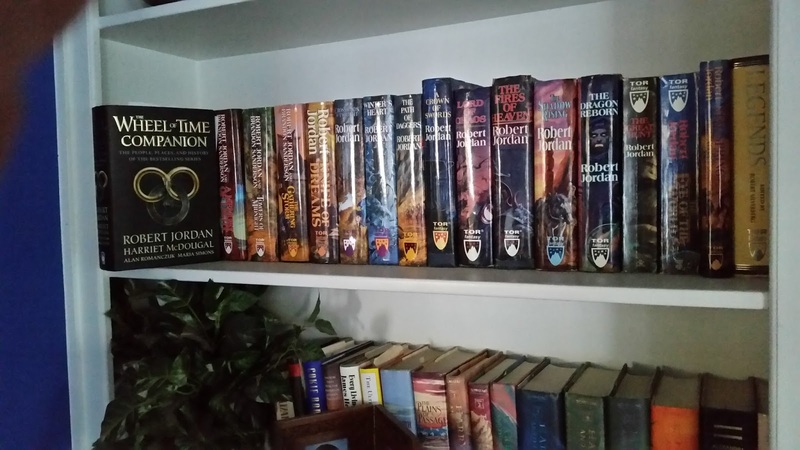 The entire shelf is nothing but Wheel of Time. 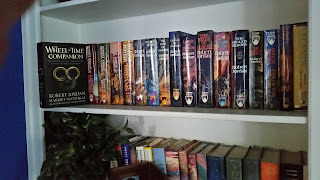 I have every single book, including a first edition trade paperback of The Eye of the World from 1990. It's like they knew it's my favorite. 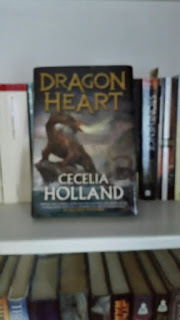 In an earlier box, I got a copy of Cecelia Holland's Dragon Heart. 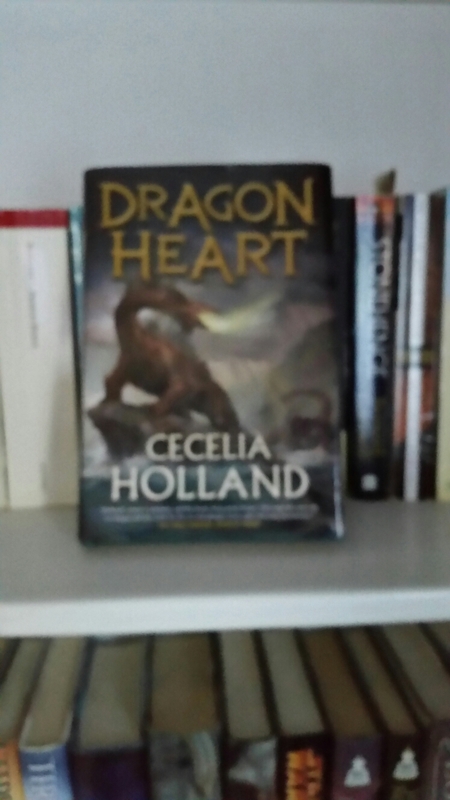 It's hard to part with a book (total book hoarder) but this copy I'm giving away! America's most distinguished historical novelist steps fully into the realm of fantasy and makes it her own. No fancy rafflecopters. Just comment with your favorite epic fantasy series and a twitter handle/email address. I'll pick one winner on October 25th. And if you like fantasy, don't forget to take a look at my new book Grudging. My jealousy of your Wheel of Time collection knows no bounds. It's been a while. It might be time for a series re-read.